The US Food and Drug Administration (FDA) has classified kratom, a botanical substance widely used as a painkiller despite agency approval, as an opioid. 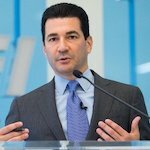 FDA Commissioner Scott Gottlieb released a statement referencing the FDA’s concerns about the plant substance and its health consequences, which they said include death. Since they've been keeping tally, there have been 44 deaths reported that are considered associated with kratom, an increase from the 36 that had been reported in a November 2017 FDA advisory document. Gottlieb noted that many of the reports the FDA has received regarding the substance weren't fully assessed due to a limited amount of available information. Still, he went on to raise concern with 1 specific report. “Cases of mixing kratom, other opioids, and other types of medication are extremely troubling because the activity of kratom at opioid receptors indicates there may be similar risks of combining kratom with certain drugs, just as there are with FDA-approved opioids,” Gottlieb said. The administration acknowledged that despite the information collected, there is still much to learn about the substance. Reportedly, there are current scientific assessments underway to further the understanding of the biologic effects of kratom. In previous statements, Gottlieb said that the agency must weigh all available evidence, and ask itself whether the use of kratom could expand the opioid epidemic. On the other hand, Gottlieb also acknowledged that if proponents are right, and kratom could be used alternatively as a tool to treat opioid addiction, the agency owes them clear, reliable evidence to support those benefits. “I understand that there’s a lot of interest in the possibility for kratom to be used as a potential therapy for a range of disorders. But the FDA has a science-based obligation that supersedes popular trends and relies on evidence,” he wrote in a November 17 statement.